This is the first newsletter in a long while. Quite a lot of stuff to tell you all. Firstly, the biggest news is that Bandai's end of March re-release of the 1/65 scale VF-19Kai and VF-17S will come in completely new boxes with the toys displayed in fighter mode instead of the battroid mode of the original 1995 release. The toys will retail for ¥6,800. Does this new box design justify the ¥1,820 price increase over the original 1995 release? I don't think so and from the picture it does not look as if any changes have been made to these toys. Also, my sources tell me that quantities of these toys will be fairly limited so grab them while you can. 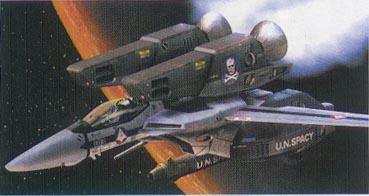 Here is a small color pic of the CG box art for the upcoming Hasegawa VF-1A Super 1/72 scale plastic model kit. Unfortunately, it looks like the kit will not come with any missiles. Nice box art though! 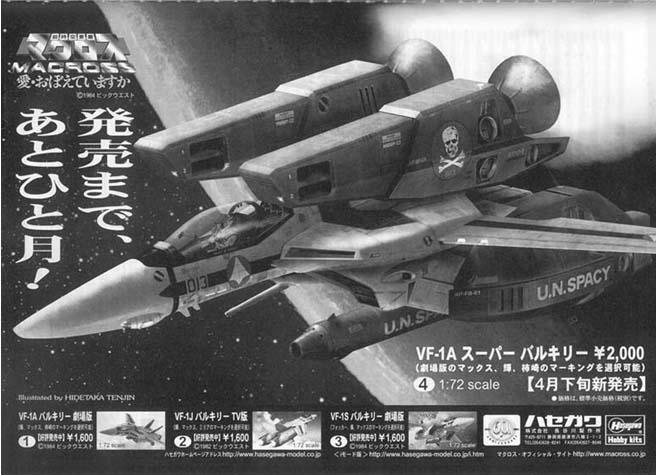 And here's a larger black and white advertisement of the Hasegawa VF-1S Super. Looks like the kit will be released in May 2001. And here's a new line-art pic of the Hasegawa VF-1A Super, for those of you who like that sort of thing. The May 2001 issues of Hobby Japan and Dengeki Hobby magazine have just been released. For once I recommend buying Hobby Japan as it has a 17 page feature on the Hasegawa Macross models including a building guide and some beautiful photos of finished models including a fan built fully variable conversion of the Hasegawa VF-1J. The new Dengeki Hobby features just 4 pages of Macross stuff, mostly focusing on the Hasegawa models. A fan made non-variable conversion to battroid mode of the Hasegawa DYRL type VF-1A/S is also featured. It seems to be very popular to try to convert the Hasegawa fighter mode kits to either battroid mode or to fully variable. 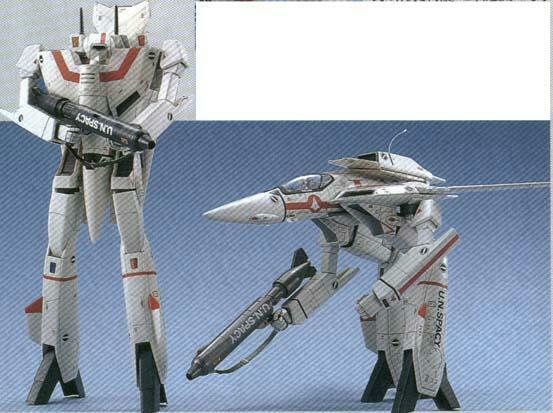 Here is a picture of the VF-1J fully variable conversion in battroid and Gerwalk modes. Compare the picture of the leg transformation of the Hasegawa variable VF-1J conversion below with the line-art picture from the 1984 'Do You Remember Love? : Special Preview' book and notice the way the legs transform is incredibly accurate to the anime. 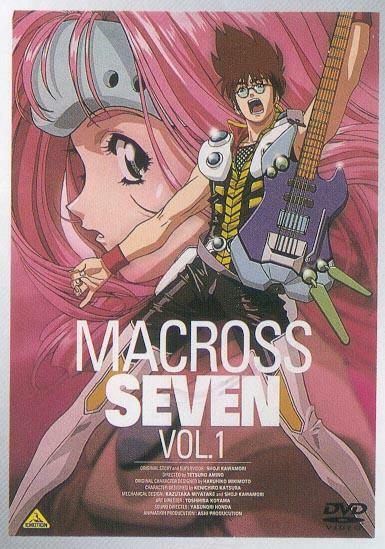 Lastly here is the box art pic of the upcoming Japanese release of Macross 7 on DVD. One final word of news, I've heard from a fairly reliable source that both Macross TV and Macross 7 may be released fairly soon on pirate DVD with both Chinese and English subtitles. For those of you that don't know pirate (or bootleg) anime DVDs are very common here in HK and recently many have been released with English subtitles. One word of warning, although the visual quality of these DVDs is very good, the subtitles are often full of spelling and grammatical errors or just plain nonsensical. However, to be fair the most recent pirate DVD releases such as Jin-Roh and Spriggan have seen much improvement in the accuracy of the subtitles. This may be the only way most of us will ever see a Macross 7 DVD with English subtitles as I'm sure HG would try their best to block a legitimate release.